Forget about fussy bouquets and ornate vases. 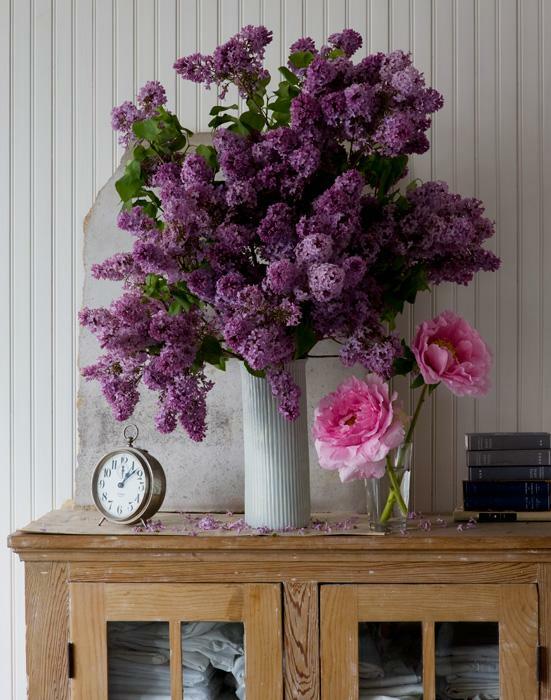 All you need are a few blooms from your grocery store or farmers’ market, a simple container—perhaps one found at a garage sale or in your recycling bin or kitchen cabinet—and a touch of whimsy to pull it all together! 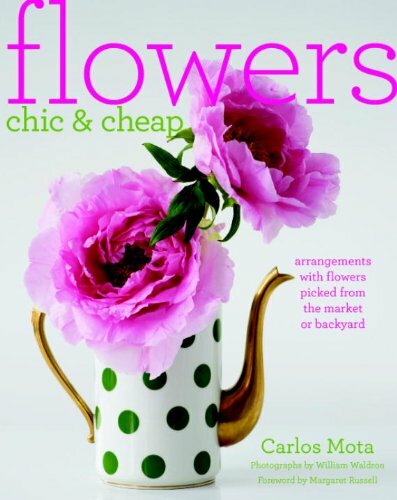 In Flowers Chic and Cheap, Elle Decor editor at large Carlos Mota shows how unexpected elements can make a style statement. For example, fill a vintage teapot with pink peonies and set it next to your bed; gather some ferns and an orange poppy in a colorful gift bag and call it a centerpiece; dress any entryway by loading a soup tureen with lemons and a few dusted-off leaves (picked from the backyard, of course). Unusual combinations make the most interesting arrangements (think posh English garden roses paired with inexpensive pom-poms). Two dozen cheap roses are perfect for a graceful bouquet when the stems are cut short, arranged tightly, and peppered with mint stems. 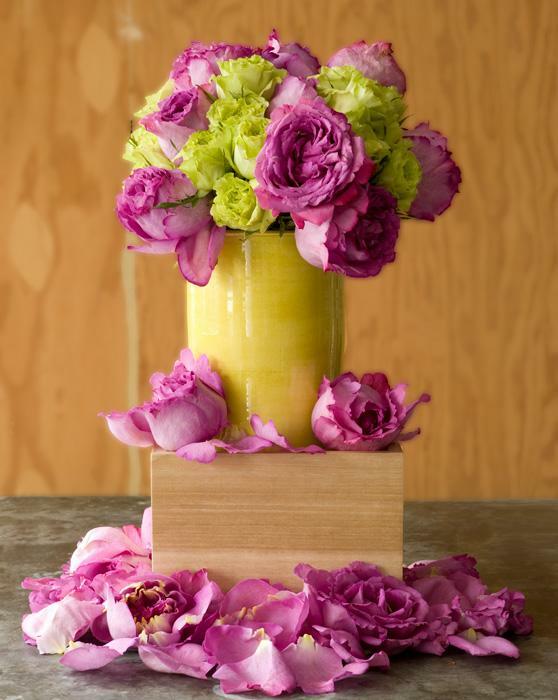 Short- and long-stemmed flowers placed in bud vases on a cake stand are always easy and elegant. With short lists of what you’ll need and clear instructions for what to do, plus more than two hundred gorgeous color photographs by celebrated photographer William Waldron, Flowers Chic and Cheap gives you all the practical information—and inspiration—for sprucing up your place without making a fuss. Images by William Waldron for Flowers Chic and Cheap. 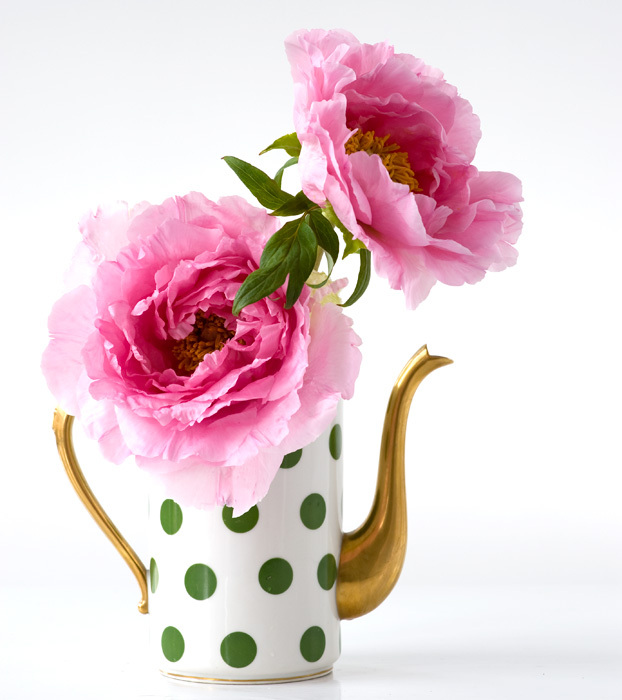 Those peonies in the I Heart NY cup-amazing! this makes it all seem so easy... i love it! The I Heart NY flowers are my favorite! 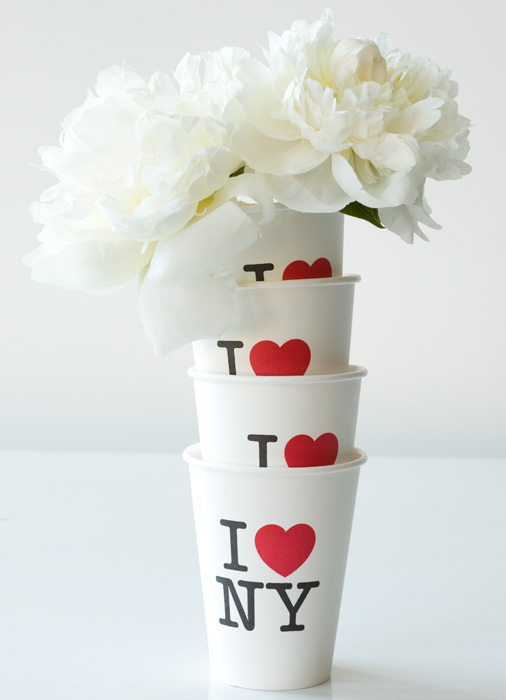 Agree with Bird - those I Heart NY cups with the flowers are awesome! !